Home Literatúra, CD, DVD, podujatia Cudzojazyčná Destroying the Jezebel Spirit : How to Overcome the Spirit Before It Destroys You! 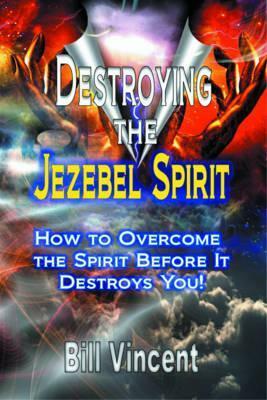 Destroying the Jezebel Spirit : How to Overcome the Spirit Before It Destroys You! In Bill Vincent’s more than 20 years of ministry, there has been countless spirits and demons that he has personally been allowed by God’s grace to overcome in many people’s lives. There have been various kinds but none as dangerous as the spirit of Jezebel. This book is as no other Bill has written because of the history of dealing with this spirit so many times over the years. The Church doesn’t need to take this lightly. Bill brings this timely message several ways to bring clarity. This book isn’t just for light reading, don’t just skim the surface because there is much that the Holy Spirit is releasing through this book. In the years, Bill has learned a great deal more about this principality, this strongman, and how it operates. After writing „Defeating the Demonic Realm“ Bill never thought he would be releasing a book this powerful again concerning spiritual warfare. We need to understand failure to address the weaknesses and sinful responses have wreaked havoc in the lives of men and women everywhere. The Jezebel Spirit must be overcome before it destroys you!